It’s that time of year again, the Brickyard 400 Name Your Hero contest begins! I was lucky enough to be part of this great event! Back in the summer I had the amazing opportunity to attend the Brickyard 400 sponsored by Crown Royal. You can go ahead and read the whole post about it, or the few different post that I have written but basically it’s about nominating a hometown hero that has done something amazing in their life. This could be a teacher or someone in law enforcement, anyone really that has gone above and beyond to help others. The winner last year was Jeff Kyle, bother to Chris Kyle who we all know as The American Sniper. You can read all about his accomplishments in my last post, and there are many. Impressive he is – a hero he definitely is – but I can also say after spending some time with him that he’s just a really nice, down to earth guy. And just to say that I drank a glass of Crown Royal with this guy (or two) is a pretty cool story to talk about. This year the nominations have started again and I encourage you all to go to CrownRoyalHeros.com and vote for your hero. This year I’m going to be nominating Mark “Oz” Geist who is a member of the Annex Security Team that fought the Battle of Benghazi and also a former US Marine. Mark was one member of a team that should all be honored but his story stood out to me the most. 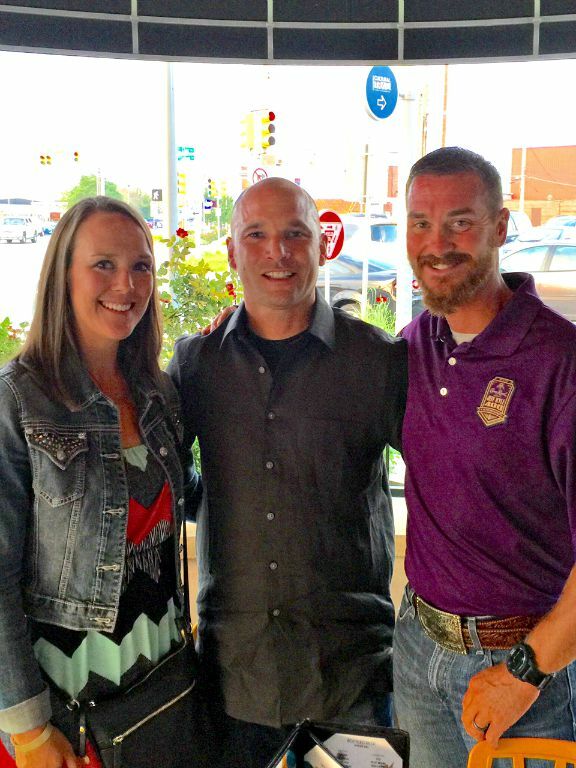 He and his team are credited with saving the lives of more than 25 Americans in Benghazi, Libya, sustaining live changing injuries that he’s still recovering from. He is also the co-author of the bestselling book “13 Hours: The Inside Account of What Really Happened in Benghazi” So he’s the guy who gets my vote this year, but please go onto the web site and nominate someone who has made a difference in your life. 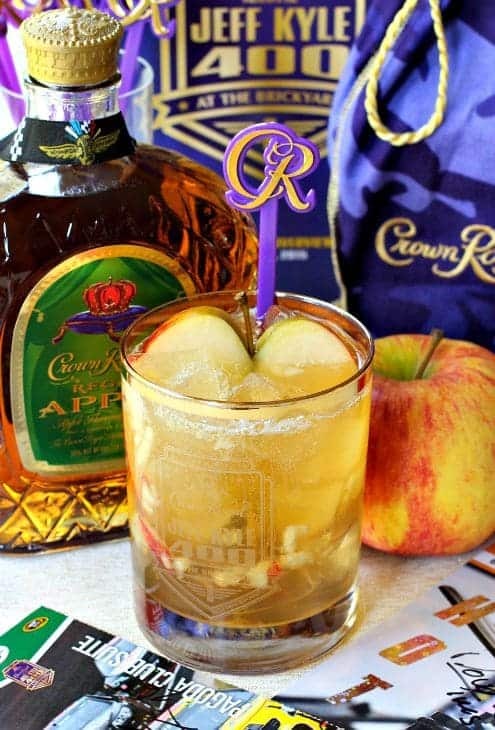 Just in case you don’t click over and read about my crazy cool weekend at the Brickyard, here’s the Apple Envy drink I made for one of our scavenger hunt prizes, where I had to have some pretty important Crown Royal people vote on who’s drink was the best. Here’s the teaser where I tell you to click over to the post and see who won. But you don’t really have to, do you?